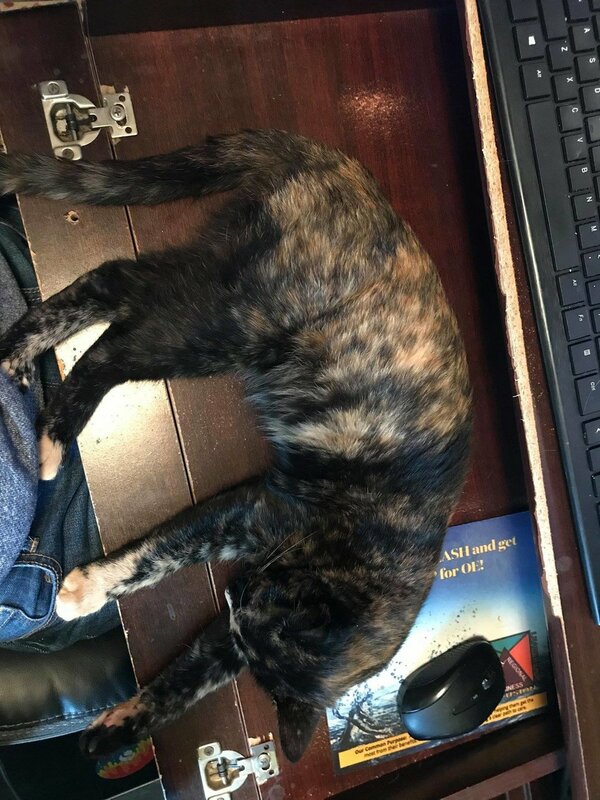 Cinnamon was found outside on a wet & cold day. She was trying to escape the weather into a school so I offered to take her home with me. She was posted on lost/found websites with no luck in finding owners so she is now available for adoption. She seems young (under a year) and has no chip. 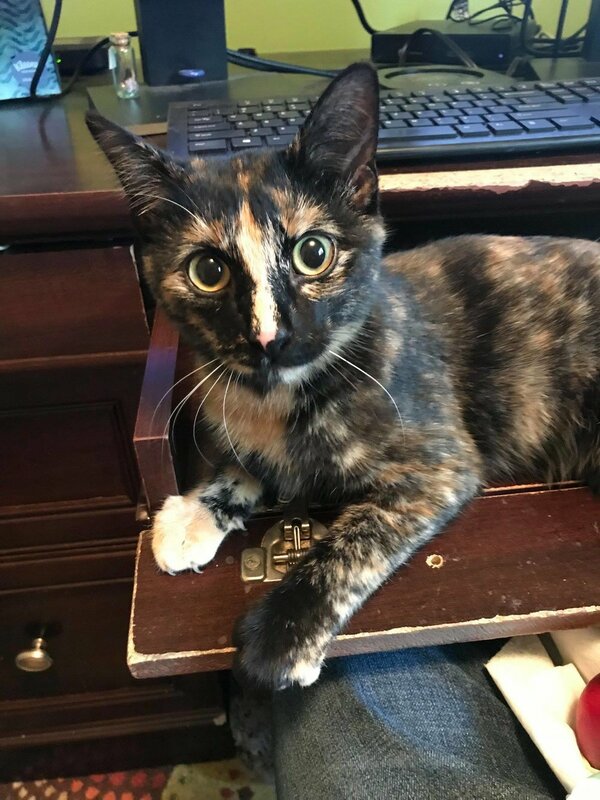 She's very friendly and has a beautiful tortoiseshell color. She's still learning about dogs but has co-existed perfectly with other cats. She loves to eat and play with cat toys. She's not yet fixed or up to date on shots but now that she is available for adoption that will be taken care of prior to her new home!